Cook A Roast and Steak Information Guide. How To Identify, Select And Cook A Roast, Steaks, Ribs or Chops to Perfection. How Do I Cook A Roast? What the best steak for Grilling? or Should I use a marinade or a rub on my ribs?” These are just a few of the question we get asked on a daily basis. With more than 27 years of experience, 10 as a meat cutter and 17 plus years as a meat manager, along with mother’s advice, extensive research and feedback from friends and colleagues we can help you enjoy beef & pork as tenderly and tastefully as possible. The tenderness or toughness of beef or pork really depends on how much the animal has had to use the muscle. Cuts from the front shoulder area and back leg area are used for movement, is going to be tougher than cuts from the loin and rib section, which lies in the upper back section. We have rated each roast for flavor and tenderness based on experience, research and feedback from others. The rating system is out of 5, the best being 5/5 and the lowest 1/5. All meat can be tender if you know how to cook it, meat from different parts of the animal must be cooked in different ways to maximize flavor and tenderness. Master the techniques for grilling, barbecuing, oven cooking or stove top cooking with step by step instructions. Whether your a seasoned cook looking for new recipes or just learning to cook for the first time, our goal is to make your cooking experience more enjoyable. If you're looking to cook a roast, steak, chops, ribs etc. our goal is to provide you with recipes for all the cuts of beef and pork, as well as a guide to buying and storing. We have put together some of the best slow cooker pork and beef recipes or crock pot recipes, what many of us grew up knowing it as, for you and your family to enjoy. Nothing beats coming home after a hard day to the smell of your favorite slow cooker recipes sitting there ready and waiting for you. Trips down the meat aisle will no longer be intimidating, and you’ll never cook a roast, steaks, chops or ribs that’s too tough for dinner again. Welcome to TheMeatSource Site search. Wondering how to cook a roast or looking for a recipe. Can't remember which page featured something you had earlier read. 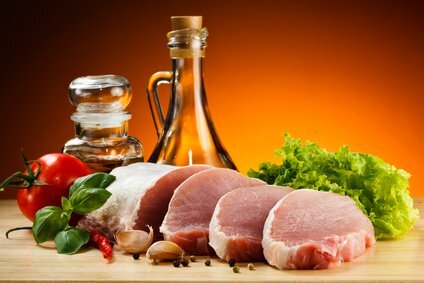 Site Search solves that problem whether its beef information, pork information or just general meat information.